Our bedroom has always been the most awful room in any house we've lived in. I have a feeling that we're not alone in this. No one ever sees your bedroom so it's easy to put all of your efforts and moolah into the rest of your house. Ours has always been a dumping ground...not only for messes that we need to quickly hide before company arrives but also for furniture that has no other home. In Connecticut we had a fairly large bedroom with room for a large couch, an arm chair and an entertainment center with no TV, in addition to our regular bedroom furniture. We called it "the place that furniture goes to die." I've wanted for some time now to whip our bedroom into shape but I had no really plan to motivate me into action. Then I stumbled upon the blog of Alicia Paulson, Posie Gets Cozy. She has so many wonderful pictures of her house, all so sweet and colorful with a feeling of romance throughout. As I was browsing through her archives, it dawned on me: "This should be our bedroom!" I am very excited about this idea. I don't have a fully formed vision of the room but I think that the nature of this style allows for a sort of piecemeal gathering of items. I'm in no hurry, I'm just excited to be on the right path to a beautiful new room. I also really believe that it's better to slowly fill your home with things that you really love rather than rushing out to fill every possible space with coordinating, soulless knick-knacks. So with romance in mind we found a few small items at the Rose Bowl flea market last Sunday. 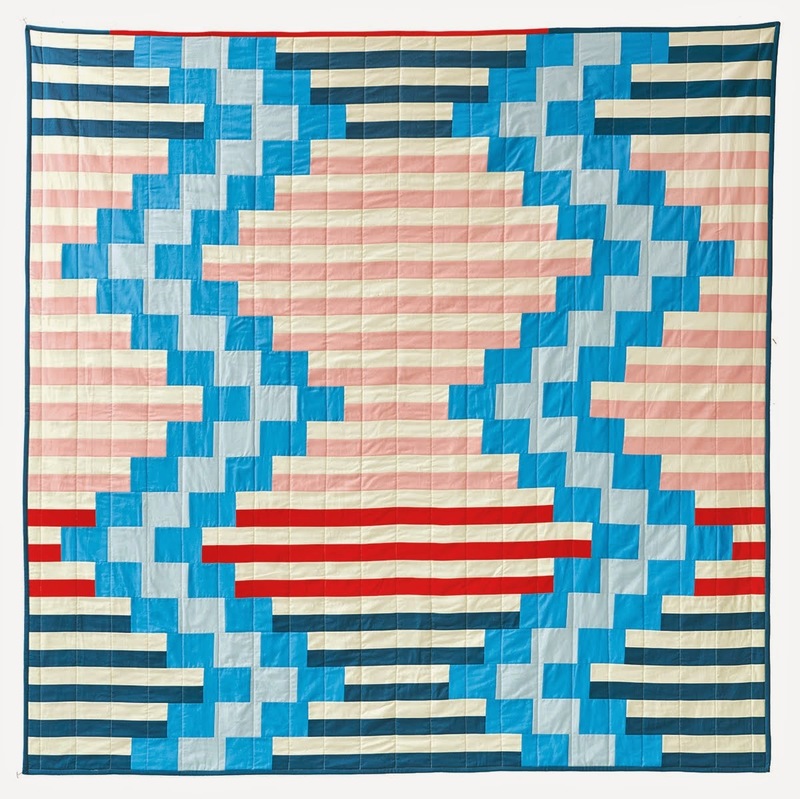 Number one: this amazing vintage hand sewn quilt! I love love love it. 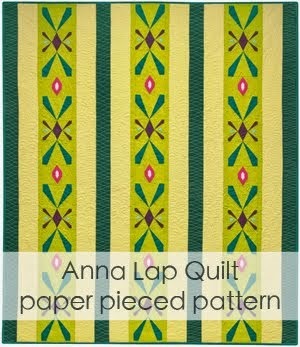 I'm not always crazy about traditional quilt patterns but whoever chose these fabrics was some kind of old timey genius! 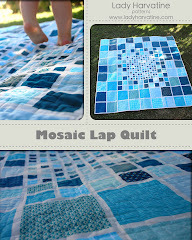 I just love the colors in this quilt. The deeper pinks and reds give it so much vibrancy and life. Very gutsy choices, I think. Plus there are so many great fabrics in there. I wish that I had them to work with. I don't quite know what we'll do with this quilt. It won't be on the bed, don't worry. We need some sort of open quilt storage for this and for the quilts Harv's mom made us (also in perfect romantic colors). Number two: This sweet pink glass lamp. It doesn't have a shade. I'm thinking of embellishing one with Victorian images of birds or something. I bought two cds of Victorian ephemera on EBay awhile ago that have hundreds of great images. And last, not from the flea market, two flowered sheets that I bought at an estate sale. From an idea in "Mason-Dixon Knitting" I ripped each sheet into one loooong 1 inch strip and wound them into balls. I am knitting two striped rugs to go on either side of our bed. The book suggests using size 15 needles but I'm using size 19. It's very satisfying. The rugs are all stockinette stitch and they are very squashy. I can't wait to sink my tootsies into one every morning. I wanted to do a random stripe pattern but I have learned through experience that it is often better to plan out a pattern that looks random than to just wing it and actually be random. I don't think that the human brain can ever be totally random. At least mine can't. It's very difficult to shake all of that logic out. So what I am using randomly generated stripes from this little gadget. If you've never used this try it! It's amazing how fun it is! You can make as many random stripe patterns as you want until you see something that you like! It seems so simple but making different color combinations can be truly mesmerizing. Hey Liz! Your new purchases look great, as does your awesome oven mitt and apron--I, too, have never worn an apron. It's on my long list of things to sew when I get around to finishing learning how to. Congrats on the Wii!! Way to go Harv for an awesome bday. I missssss you and can't wait to catch up. 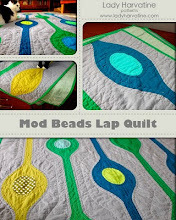 I have loads of knitting things to chat about, and I'd love to see a photo of your Mason-Dixon fabric rugs.